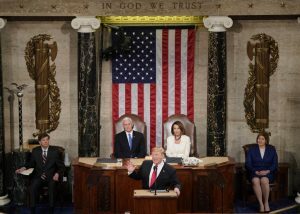 President Donald Trump delivered the third-longest State of the Union address to Congress and a live national audience, using the platform to talk about a wide range of issues, including bipartisanship, immigration, abortion and a second summit with North Korean leader Kim Jong Un for late February in Vietnam. 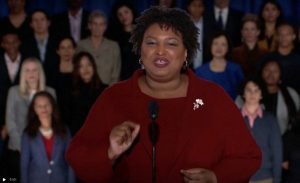 Former Georgia gubernatorial candidate Stacey Abrams gave the Democratic Party’s rebuttal to the president’s speech, becoming the first black woman in U.S. history to do so. 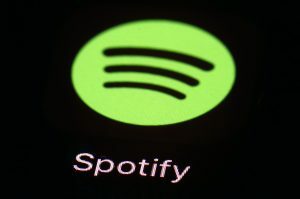 In business news, Spotify announced the purchase of podcast company Gimlet Media and audio tools company Anchor, signaling its aim to expand beyond online music into all audio entertainment services. Workplace messaging platform Slack also marked a growth milestone by filing paperwork with the Securities and Exchange Commission to go public. And Amazon founder Jeff Bezos publicly accused the National Enquirer tabloid and its parent company of attempted extortion and blackmail. 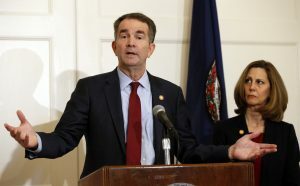 Virginia politics captivated the nation as the state’s top three leaders became embroiled in a ballooning scandal over blackface and allegations of sexual assault. Next door in Washington, D.C., Trump nominated former lobbyist and acting secretary of the Interior Department David Bernhardt to lead the agency permanently. Pope Francis also spoke on sexual abuse, acknowledging for the first time that such abuse occurred against nuns by members of the clergy. 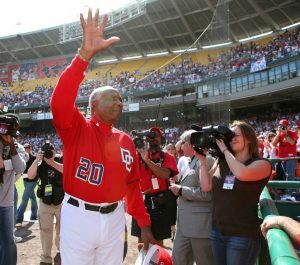 Major League Baseball said goodbye to one of its greatest players, Frank Robinson, who was also the league’s first African-American manager. Robinson died at the age of 83. Top line: “With Virginia’s top three elected officials engulfed in scandal, fellow Democrats were rendered practically speechless, uncertain of how to thread their way through the racial and sexual allegations and their tangled political implications. Gov. Ralph Northam’s career was already hanging by a thread over a racist photo in his 1984 medical school yearbook when a woman publicly accused the lieutenant governor of sexually assaulting her 15 years ago, and then the attorney general admitted that he too wore blackface once, as a teenager. The string of scandals that began when the yearbook picture came to light last Friday could have a domino effect on Virginia state government: If all three top Democrats fall, House Speaker Kirk Cox, a conservative Republican, would command the state.